Today David Burkus releases his new book Friend Of A Friend, Understanding The Hidden Networks That Can Transform Your Life And Career. In this conversation, we talk about the word networking: the good, the bad and the in between. 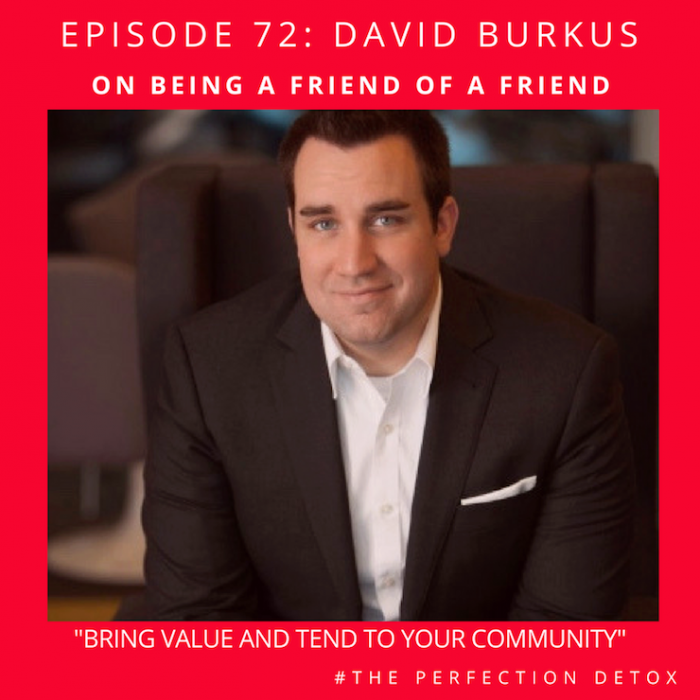 David shares his thoughts on how to bring value to your community and how to be the person who is the gardener that tends to your relationships (network) with interest and enthusiasm. I talk about the idea that often people believe they don’t have enough to offer to be worthy of showing up and deserving a seat at the table – and in turn being a part of the network – David shares his thoughts on how we all have so much to offer and that it is a subtle shift in our thinking that can help us overcome this internal barrier. David shares his unique perspective that we exist within a network versus it being something we own. We wrap up the conversation talking about the dread of networking at social events and how we can make it more enjoyable for ourselves when we create conversations that are meaningful. It is when we bring a sense of curiosity and interest to all of our interactions that the magic can appear. His forthcoming book, Friend of a Friend, offers readers a new perspective on how to grow their networks and build key connections—one based on the science of human behavior, not rote networking advice. He is also the author of Under New Management and The Myths of Creativity. David is a regular contributor to Harvard Business Review and his work has been featured in Fast Company, the Financial Times, Inc magazine, Bloomberg BusinessWeek, and CBS This Morning.